High-profile emergencies are like shark attacks: they get a lot of press, but do not represent the greatest threats to facilities or organisations. 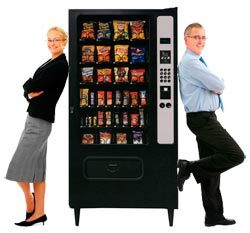 Did you know more people are killed in the United States by vending machines every year than are killed by sharks? Neither did I. But the media goes into a feeding frenzy when there's a shark attack. I’ve been asked many-a-time how a facility should respond to an aircraft hitting their building or what’s our approach to a tsunami or “what do we do if (insert latest media grabbing emergency) happens here? “. Whilst the concerns are worth thinking about, after all if you don’t learn from current and past events you’re wasting an opportunity, but too many tend to worry too much about high-profile emergency events, when the real threat comes from more mundane, everyday vulnerabilities. The yearly risk (in the United States) of dying from a shark attack is roughly 1 in 250 million, compared to dying from a vending machine accident is 1 in 112 million -- or twice the death rate. (Whether it’s from electrocution or it's from the machine falling on top of them? Let me know if you’ve read more on the subject.) Our risk here in Australia is higher for shark attacks but our vending machines don’t appear to be as mutant as the US ones. I can’t locate Australian vending machine kill-rate stats! Nonetheless, everyone lives in fear of terrorists, major skyscraper fires, earthquakes, tsunamis and more recently, sinkholes opening up and swallowing them or their facility. Yet, many do not even blink at the everyday, real threats in a facility. Here’s but a few examples; flooding from domestic plumbing, medical emergency, power outage, and I am consistently amazed at the amount of industrial facilities that have an abundance of forklifts, trucks, loading bays and are located near major roads and have not included motor vehicle accident in their emergency planning and provided some basic motor vehicle accident response training to their Wardens and First Aid personnel. So, learn from the latest high profile emergency, but not at the expense of the (more likely) mundane everyday threats.